Going out on a hike is the highlight of your week, but knee pain threatens to stop you in your tracks. 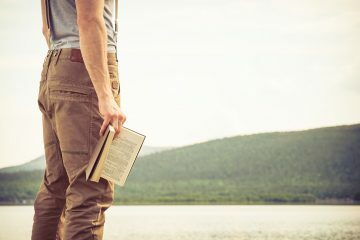 Is there a way to manage your pain so that you can keep hiking? Yes! There are many strategies for how to deal with hiking knee pain. One of our big goals here at The Adventure Junkies is to help you get outdoors. We know that aches and pains can be a real challenge on the trail. In this article, we’ll walk you through what to do before, during and after a hike to avoid joint pains so you can get the most out of your experience outdoors. Your knees go through stress carrying you through your daily life. According to Med-Health.net, just walking up the stairs puts pressure on your knees equal to four times your body weight. Add a fully loaded hiking backpack and mountain elevation, and that’s even more stress on your knee joints! Knee pain can result from many things: tendonitis, sprains, muscle strains, bursitis, cartilage tears, arthritis … it’s a long list. Some causes of knee pain, like muscle strains, are temporary and will heal with time. Other injuries can lead to chronic pain that may become a hindrance to your active lifestyle. Old, improperly treated knee injuries can also flare up to cause pain when you least expect it. Exercise and eating a healthy diet are two things you can do before hitting the trails to avoid knee pain. Studies have shown that some foods contain properties that make them inflammation fighters. Harvard Health Publications lists tomatoes, olive oil, green leafy vegetables, nuts, fatty fish, strawberries, blueberries, cherries, and oranges as anti-inflammatories. By including these foods in your diet, you may be able to fight knee pain without relying on medication. Sure, you’re in pain, but according to WebMD, exercise is still one of the best things you can do for your knees. Exercise strengthens your muscles and keeps your joints flexible. If your leg muscles are in optimal condition, then they’ll help support your knees. This natural, extra support will help reduce knee pain while hiking. Which muscles should you target in your pre-hike exercises? Livestrong recommends activating your quadriceps, hamstrings, calves, and IT band. The best way to do this is through a combination of biking, leg extensions, and squats. You should also supplement your hiking workout with a stretching routine. Stretching improves flexibility, muscle tone, and can aid in healing. Improve your knees’ health by incorporating hamstring, calf, and IT band stretches. This video from Ask Doctor Jo demonstrates knee stretches that can help ease your pain. What you put on your feet matters. Make sure that you’re wearing properly fitting hiking boots or shoes. If your feet get hurt, it will affect your gait, which will ultimately upset your knees. Choose boots with cushioning. This will help absorb the impact of your steps as you hike, and will ease some of the pressure on your joints. Not sure which hiking boots or shoes are right for you? 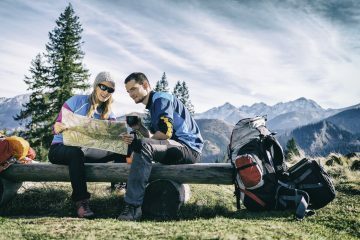 Check out our guides: how to choose hiking boots and hiking shoes 101 for tips on selecting the right footwear for you. You should decrease the weight you’re carrying. The more you carry, the more weight you’re placing on your knees. 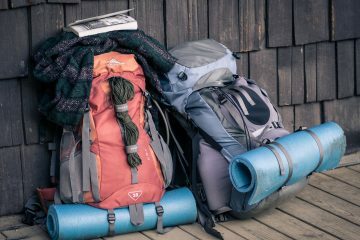 Check what’s in your hiking backpack and make sure to remove anything that’s not necessary. It’s also important that you know how to pack your backpack so that you distribute the weight evenly. As you hike downhill, pace yourself. According to a study published in Knee Surgery, Sports Traumatology, Arthroscopy, downhill walking puts pressure equal to 7 to 8.5 times your body weight on your knees. That’s a lot of pressure. The faster you go, the more pressure you’ll feel on your knees. Moving at a steady pace will help make the downhill portions of your hike more manageable for your body. You can also reduce the impact on your knees by using hiking poles. A study in The Journal of Sports Sciences found that using hiking poles on a 25-degree downhill ramp lowered the force on knees by 12 to 25 percent. Hiking poles provide support and redistribute your weight. This weight reallocation lessens the impact of each step. On a long hike, this reduction in force can make a huge difference for your knees. If you’ve never used poles before, see our article on how to use hiking poles. A knee brace can also provide extra support by stabilizing your weakest points. There are many knee braces on the market including sleeves, supports, and stabilizes. A doctor can help you determine which type is best for combating your knee pain. If this is your first hike after a knee injury, then limit your distance. Don’t go on a 10-mile hike with extreme elevation changes. Let your body adjust, and go on a short hike. Watch your knees before, during, and after your hike. Over time, depending on your pain levels, you can work your way up to longer distances. Stretching helped prepare your knees to hike. It can also help reduce pain after you finish hiking. After intense exercise, your muscles shorten and become tight and sore. This tightness might be even more so in your knees. Stretching will help prevent your soreness from transforming into pain and stiffness. It will also aid you in maintaining flexibility in the days following the hike. As part of your healing process, you may experience inflammation in your knees. Taking a nonsteroidal anti-inflammatory drug (NSAIDs) like Advil, Motrin, or Aleve can reduce pain and inflammation in your joints. NSAIDs should not be taken on an empty stomach. You’ve taken all the appropriate precautions, but you’re still hit with knee pain following your hike. The good news is that there are things you can do to help alleviate the pain. The experts at WebMD recommend RICE (rest, ice, compression, and elevation) to heal your knees. Supplement the RICE method with NSAIDs to decrease pain and swelling. Once the pain is gone, you can gradually start stretching and strengthening exercises. As long as you take care and listen to your body, you should be able to get back on the trail. 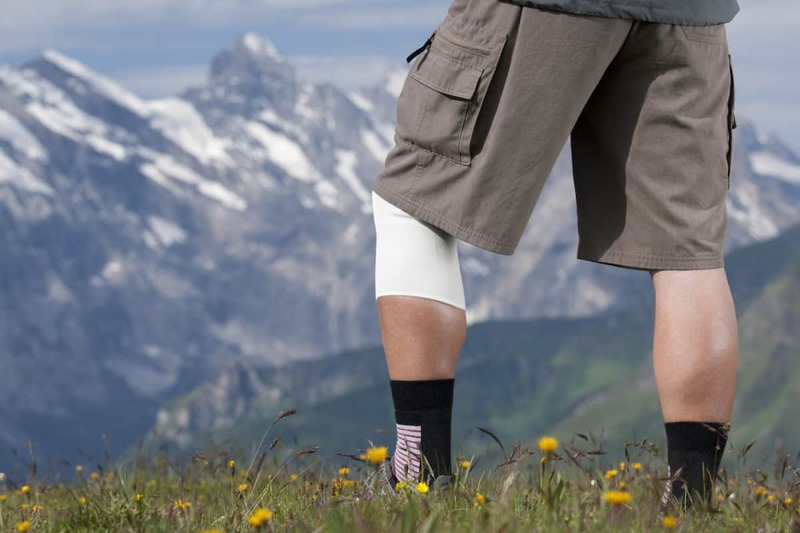 What if nothing seems to be working for your hiking knee pain? Does this mean you’re out of options? Talk to your doctor or visit a physical therapist. They may be able to create a tailored strategy to help reduce your pain so you can hit the trails.